Offering you a complete choice of products which include industrial electromechanical components. Industrial Electromechanical Components are manufactured and sub assemblies for various applications. 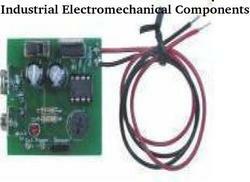 Typical electro mechanical parts include sensors, safety devices, controllers etc. Looking for Industrial Electromechanical Components ?